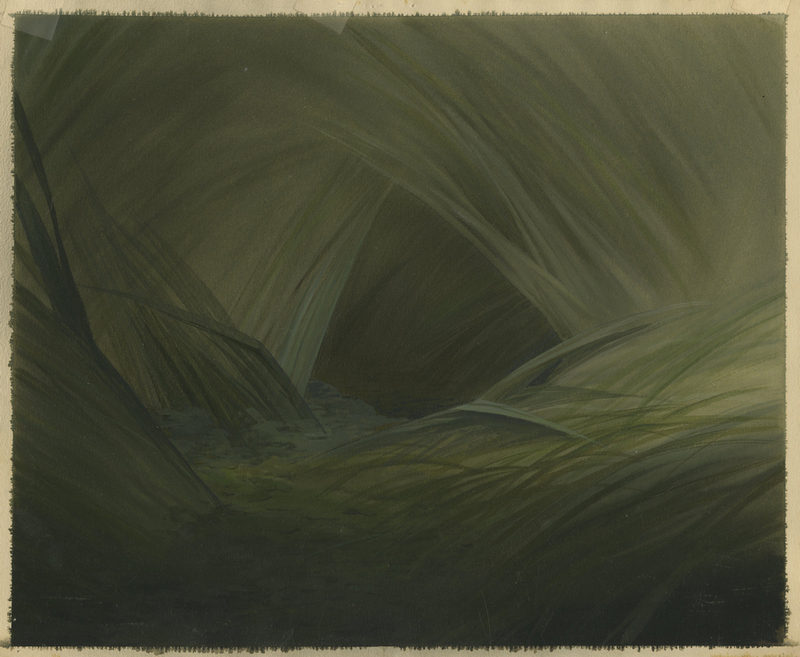 This is an original production background from the Walt Disney Studios production of Bambi (1942). 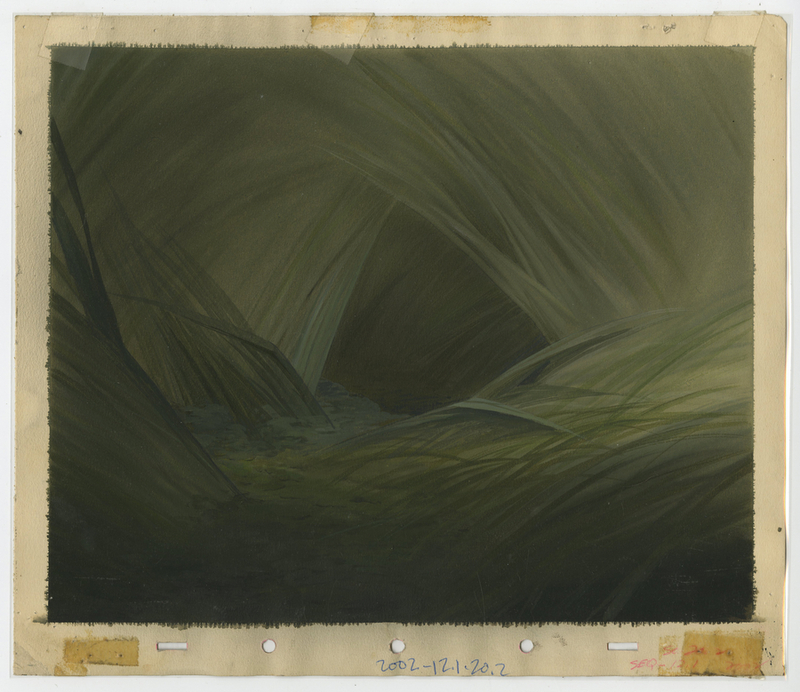 This hand-painted background features an image of a grassy forest environment and was created at the studio and used during the production of the film. 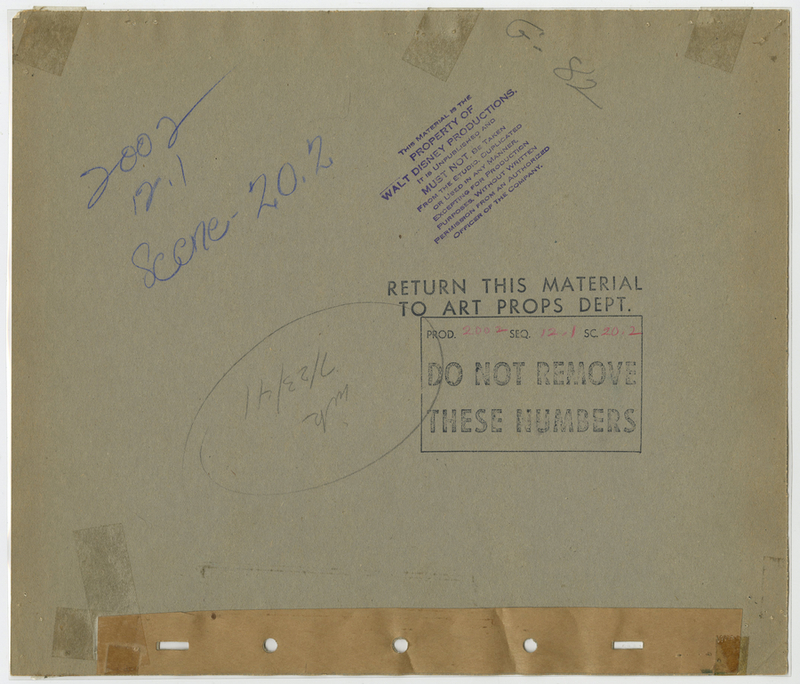 The overall measurements of the piece are 10.25" x 12" and the image itself measures 8.75" x 10.75". The background is in very good condition. Bambi is beloved for the artistic look of the film, especially as seen in the background atmosphere created by lead background painter Tyrus Wong. Even the backgrounds that were not created by Wong himself, exhibit the powerful style he developed for the film.